Brand spanking NEW KIT, it is not 'new old stock'. 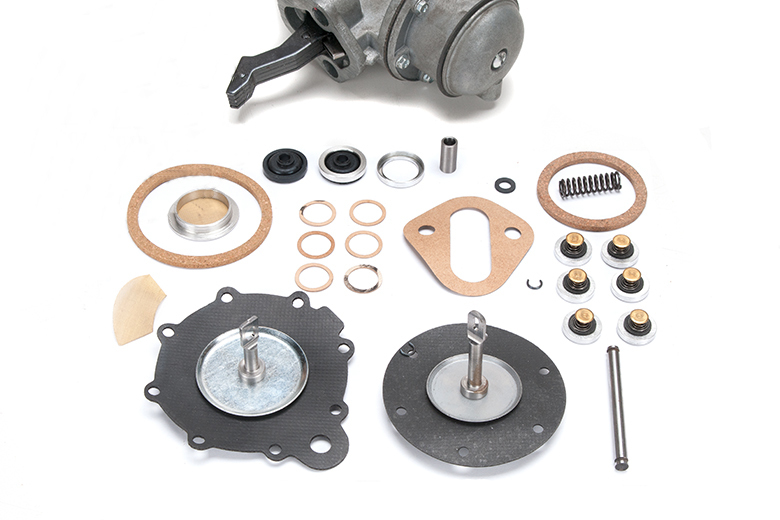 This rebuild kit works on Scout 80s and 800s with the 8 screw fuel pump and 6 screw vacuum pump. This kit rebuilds both vacuum and fuel pumps. Need to check the number on the sides of the bolt on area to get the number and call to order. 20% restock if wrong kit ordered.